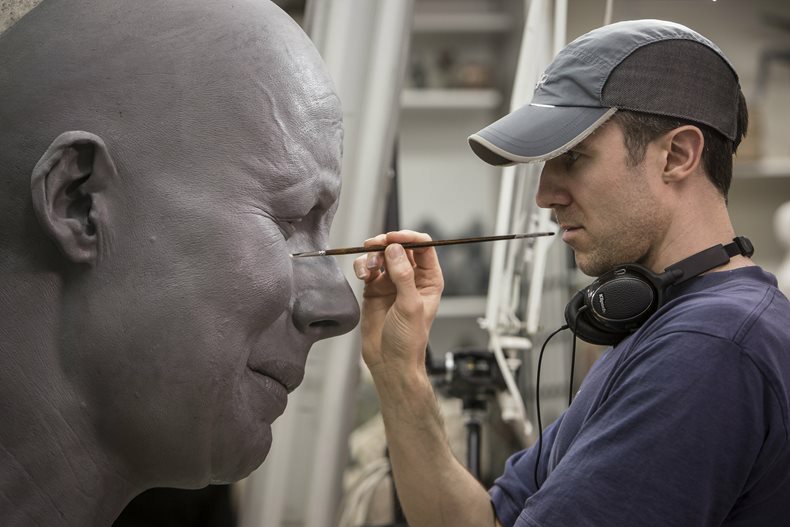 Weta Workshop are famous for its work on big Hollywood films such as ‘The Lord of the Rings’ and ‘The Hobbit’ motion picture trilogies, ‘Avatar’, ‘King Kong’, ‘Ghost in the Shell’ and ‘Blade Runner 2049’. The installation of the Massivit 1800 was made possible by Massivit 3D’s local Australian and New Zealand distributor, Stick On Signs. According to Weta Workshop’s Workshop Operations Analyst, Pietro Marson the company’s manufacturing teams have until now used various technologies for their fabrication processes. These include CNC routers, industrial robots, and smaller 3D printers. Several of these technologies have presented limitations when it comes to manufacturing larger props. Weta Workshop anticipates that they will be able to save thousands of dollars by printing larger components. The Massivit 1800’s print volume has been especially useful for one of the company’s newest projects which needs the production of large-scale moulds. Producing these moulds with CNC technology would have been difficult due to their size and the inability of CNC routers to create complex, deep intrusions. “The Massivit 1800 has surpassed our expectations so far. With its added capabilities and extra efficiency, it delivers our operations. Since its installation, it has inspired a lot of creative thought and our teams are buzzing with what we will be able to achieve with it moving forward,” he concludes.